The solution was to design a sub-brand that would enhance the Dunlop brand and allow a direct sales link for high end retail customers. This process led to Dunlop’s very first ‘Performance Centre’ in Northampton. This initially required brand workshops to be held with the client to outline their core values, approaches and methodologies as well as identifying the appropriate brand development direction. 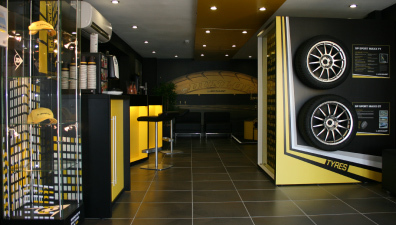 Once established we created both internal and external guidelines, covering signage, furniture and PoS displays. These guidelines permitted hierarchical scalability of brand application depending upon on the individual site requirements. 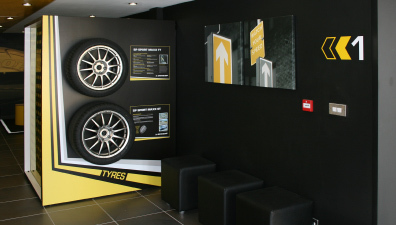 A concept launch was held to approach both successful and aspiring tyre operators with the aim of identifying a business and site suitable for centre development. 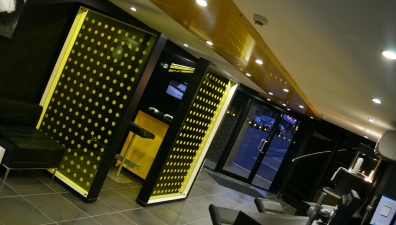 Once finalised IDentity were responsible for the installation and hand over of each integral aspect of the project ranging from stationary, uniform, fixtures and fitting, internal graphics, furniture and external signage.